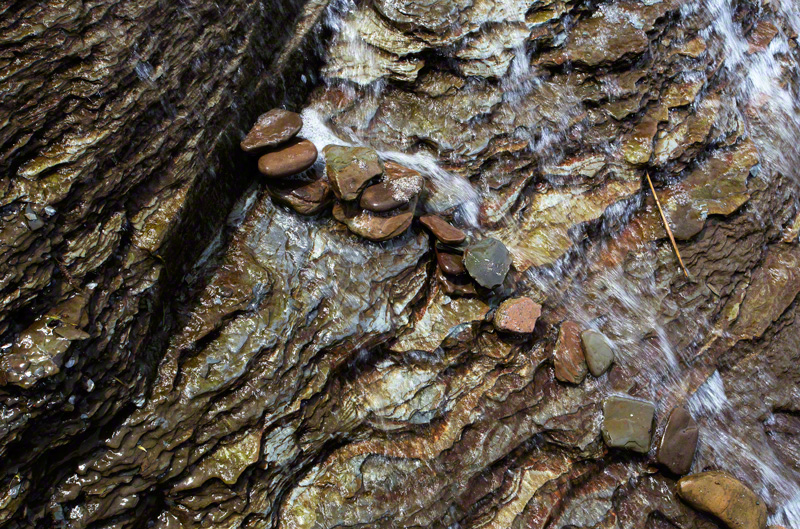 Before I arrived, a child had arranged a line of stones at the base of a naturally-stepped waterfall. He had made the line in such a way as to not block the flow of water and not be washed away. Draw what lessons as you may from the boy’s action; I just thought it was beautiful.